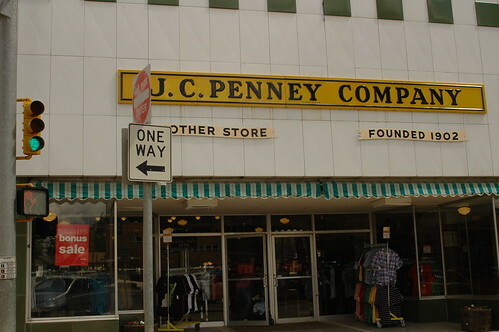 If you're old enough to have used a rotary phone, you were around for JCPenny's heyday. You've also lived to see this once well-respected brand become a shadow of its former self. And execs at JCP have no one to blame but themselves. Poor planning and a failure to understand their target market has left this department store brand struggling to stay relevant for quite some time now. Only time will tell if they can turn this ship around. For now, let's take a look at where they have faltered. Brand Strategy – Any good brand transformation specialist will tell you that you must always start with a strategy. The process involves a great deal of market research and introspection. It seems as though JCPenny execs understood this process well. Their strategy was solid, and it addressed the market they were after. The concept was to simplify their pricing model and update their look. Instead of offering sales and coupons, the brand decided to stick with an everyday low price model. It could have worked. But it didn't. Instead of the sales surge they were expecting, JCP experienced a drop in sales as a result of their changes. Implementation – Here is where things really went awry. Brand strategists came up with a workable plan. But maybe they were so excited to get it out there that they skipped a step or two. It seems that JCP did not perform sufficient testing on their ad campaigns. Instead of addressing how their new pricing strategy would benefit customers, they focused on how awful the alternative was. This could work in certain situations, but not this one. Since this brand has been known for years as a discount department store, it could have been beneficial to explain that this wasn't changing. All customers heard was, “No more coupons.” Does that mean no more sales? If a major brand like JCPenny can struggle with brand transformation, what does that mean for the smaller guys (with smaller budgets)? Well, fortunately, you don't need a million-dollar budget for a successful brand transformation. You do, however, need to know how to follow the necessary steps to understanding, and then reaching your target audience. Not everyone is comfortable in this area, but that's okay; that's why we have brand transformation strategists.